Whether you're on a budget or looking for the ultimate in luxurious sleep comfort, Sleep City proudly offers a comprehensive selection of futons and mattresses to help you achieve more restful, healthy sleep. Sleep City is renowned for our diverse inventory of mattresses, including the area's best selection of Serta, iComfort, iComfort Hybrid, Flippable mattresses, and Simmons Beautyrest Black. Since 1997, Sleep City has remained family-owned and operated, and dedicated to helping those we serve enjoy a great night's sleep at a great price. This has inspired us to work just a bit harder to become the most trusted place to shop for futons and mattresses in Rochester. 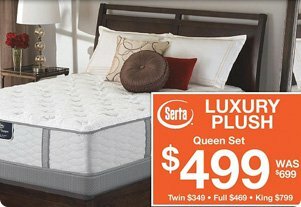 As the only locally-owned independent futon and mattress superstore in Rochester NY, Sleep City takes a unique approach to helping you find the sleep solution that's ideal for you. We're not here simply to sell you a mattress. We're here to earn your business, and that means addressing each customer's needs as if they were the needs of our own friends or family. Visit any of our three Rochester NY locations to try them out, speak with a sleep specialist or inquire on our free financing. Millions of Americans live with daily aches and pains, but many might not realize that their old mattress could be gradually worsening the problem. On average, we spend over 22,000 hours sleeping in bed over the course of seven years. As mattresses age and lose their integrity, they also lose the ability to contour the body in a natural alignment. This increases stress on pressure points and results in tossing, turning and poor sleep patterns. At Sleep City, we fully understand the connection between pain and healthy, natural sleep. We offer some of today's most advanced mattress designs, including models from Serta, iComfort, Dr Greene and other leading brands. Visit any of our three Rochester NY mattress stores to learn more about how the right mattress can help reduce pain while you sleep. Visit our Mattresses page to learn more about these outstanding brands!